The British Gazette » Two men and a cake. 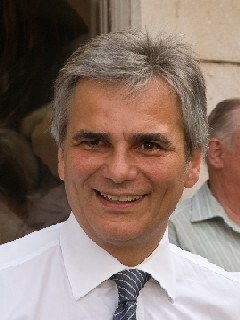 The two men in question are above left, Herr Werner Faymann, Chancellor of Austria (since 2nd December 2008) and above right, Mr. Arnold (Alois) Schwarzenegger, the 38th Governor of the U.S. State of California. The cake is a sachertorte. The one thing these three have in common is that they are Austrian. 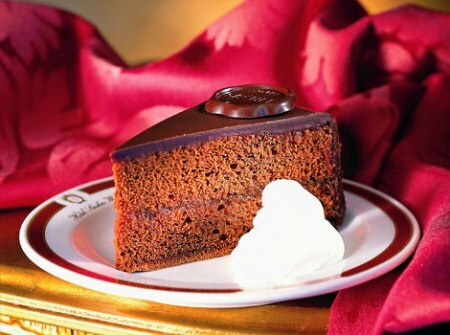 The sachertorte is a famous Viennese cake, probably the most famous chocolate cake of all-time. It consists of chocolate sponge cake cut into three layers, between which apricot jam are thickly spread between the layers and on the top and sides of the cake. The whole cake is then iced with a velvet-like chocolate and served with a side dish of whipped cream. It was created by pastry chef Franz Sacher (1816-1907) in 1832 for Prince Clemens Lothar Wensel Metternich (1773-1859) of Austria, the Austrian State Chancellor. The best place to experience a real sachertorte is to treat yourself to an original sachertorte in the Café Sacher at the Hotel Sacher, Philharmonikerstrasse 4, A-1010 Vienna – a glamorous meeting point for tourists and lovers of Austrian pastries alike. The phrase’s earliest recording is from 1546 as “wolde you bothe eate your cake, and have your cake?” (John Heywood’s ‘A dialogue Conteinyng the Nomber in Effect of All the Prouerbes in the Englishe Tongue’). Of course, this proverb applies to Herr Werner Faymann, Chancellor of Austria, and inter alia, to the twenty six other fellow heads of governments of the European Union’s member states, and not to Governor Schwarzenegger. This is because the leaders of the E.U.’s member states desire two conflicting things: they desire the power, authority and prestige that comes with being the head of government of an independent sovereign state; but also to partake in and use the prestige and the power of a superpower. Of course, this cannot be achieved. The E.U. accounts for well over two thirds of all the laws of the member states and the foreign and security policies of these members have not to conflict with those of the E.U. 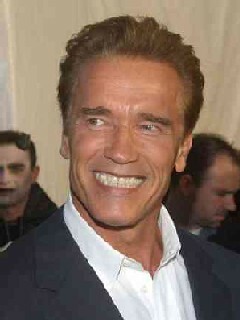 For Governor Schwarzenegger – and his voters – matters are much less opaque. The State of California has no foreign and security policy of its own. Its foreign and security policy is that of the U.S.A. California does however enjoy considerable autonomy so far as its internal governance is concerned – competences which CANNOT be encroached upon by the U.S. federal government. For instance, California can decide whether or not to have capital punishment on the statute book – which it does. If after a particularly horrible act of mass murder the British parliament acting on the wishes of the British people decided to reintroduce capital punishment – the E.U. would declare it unlawful and our Quisling judiciary would declare the statute NULL AND VOID as it conflicts with E.U. law. To repeat then, one cannot “…..have one’s cake and eat it too…..” Now, is that quite clear Mr. Brown and Mr. Miliband ? What Messrs. Brown and Miliband WILL NOT want the British People to know is that the State of California enjoys more overall autonomy in its internal affairs than does the United Kingdom, post Lisbon Treaty. As a result the British Gazette has taken it upon itself to tell the British People just that. If Messrs. Brown and Miliband object, their course of action is clear. Complain to their masters in Brussels.